Born in Pictou, Nova Scotia, Rollie’s love for racing cars and speed has kept him in the racing game for over 40 years. A very popular figure in the world of stock car in the Maritimes, he’s raced on tracks in Canada and the United States against some of the racing world’s toughest competitors, breaking both local and national records and winning numerous races and championships. As a boy growing up in rural Pictou County, his love for fast cars began when he would race old cars around the fields of the family farm. 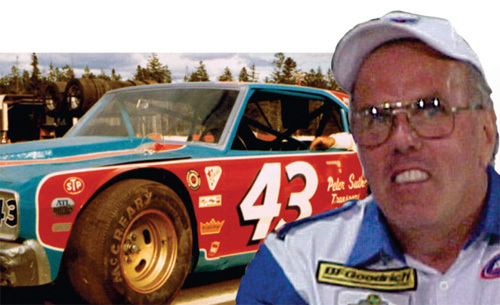 In 1965, he built his first real race car, a ’55 Pontiac, and started his racing career that year at Mountain Raceway, a dirt track near New Glasgow. From there he went on to race at speedways throughout the Maritime provinces, Quebec and the northeastern United States. He was only injured once, but it was a bad one. He was bedridden for a month in 1977, after hitting the wall while trying for 22 straight victories at his local speedway. In 1983 he won the three-province MASCAR championship and was a strong runner in that series for many years afterward. A friend and customer of fellow Maritimer Junior Hanley, MacDonald took a Hanley car to Quebec in 1986 and won the QUASCAR title. MacDonald says his most memorable victory came in 1989 when he won the Nissan 200 International at the newly built Scotia Speedworld near Halifax. In 1994, MacDonald purchased a Busch Grand National car from Jimmy Spencer and raced in the Busch North series. Never content with racing in just one series, he continued to race locally and in selected MASCAR events at the same time. 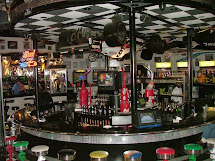 In 1998, the successful business as well as sportsman made a major change. 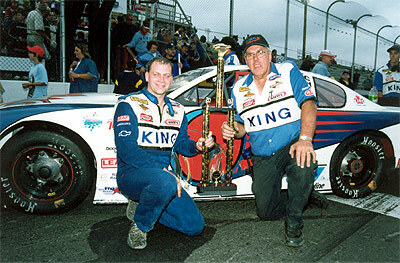 He became a part-time driver and a full-time ASA car owner for the late Scott Fraser. Rollie was inducted into the Canadian Motorsports Hall Of Fame in 2004 and the Maritime Motorsports Hall of Fame in 2009.